Just as your smile is your first impression then our office is our first impression presented to you. 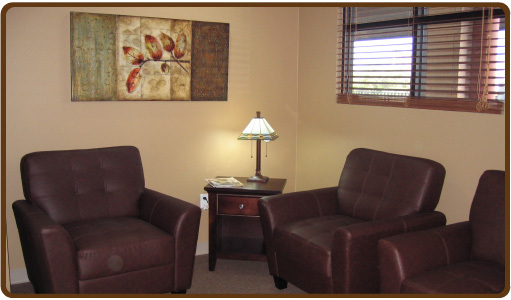 Walls of soft brown earth tones, gentle lighting and big comfortable chairs are all designed to put you at ease. Can't give up you computer? No need to in our office. We have free Wi-Fi so you can keep in touch with mail, your office or just to play.